The LINCOLN STREET GREEN STRIP is ready to be transformed. This gofundme account is being set up to pay for interim maintainence of the Lincoln Street Green Strip, now being funded by your neighbors. This includes litter removal, cutting, edging and cleaning the space which has previously been left unattended. The $2,000 goal pays for about 1 year of service from a local landscaper, based in Allston. We just started. 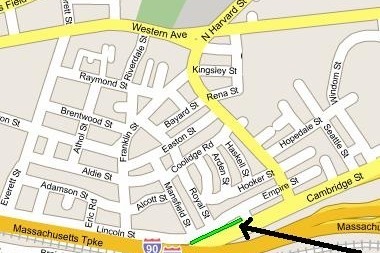 FRIENDS OF THE LINCOLN STREET GREEN STRIP has received $4,000 from the Harvard / Allston Partnership Fund, to do community outreach and create a master plan. Please be part of the process! We want input via email, or at the community meetings.